Do you dread workouts because you lack energy? Do you wish there was a magic pill to gain more energy? Many people wish there was a magic pill to have long-lasting energy. However, energy production in the body is affected by a variety of factors such as mental health and emotional well-being. The simple answer to gain more energy is to focus on your nutrition intake. Especially which fruits you eat. 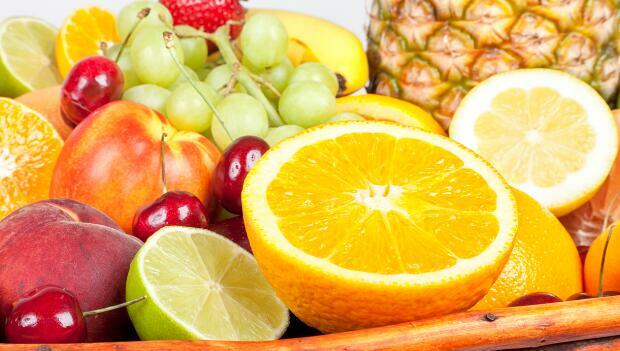 Certain fruits help stabilize your blood sugar levels. Think about the body as a car for a minute, you'd never put diesel fuel into an unleaded only car, would you? No way. Many people wouldn't dream of putting the wrong fuel into their cars, especially if they had a really expensive one, like a Maserati. So, why not think of your body in the same manner? Your body requires energy the same way your cars does so why put the wrong fuel into the body? Keep your body going with the right fuel. So, which fruits are best? Choosing the right fruit is critical to keep your blood sugar stabilized and energy up. Sucrose and sugar from fruit helps stabilize blood sugar because they are disaccharides, which means they contain both glucose and fructose. Unlike starchy vegetables and grains that break down into pure glucose, sucrose breaks down into glucose and fructose, which lower insulin. Eat right and perform better. Find a race near you. Leila holds a B.S. in Public Health, is a certified ACE personal trainer and C.H.E.K. exercise coach. She continues to further her studies with the C.H.E.K institute as well as her nutritional knowledge with various holistic nutritional programs. Harper helps clients from many walks of life achieve healthier lifestyles through exercise and nutrition programs.